Instagram closet sales. You've probably seen them, you may have purchased something from them, you may have even held one for yourself. I held my first sale a few months ago and have posted waves of sales two times since. I personally love the idea, what it does for my closet, how it changes my perspective while shopping and how easy it is! 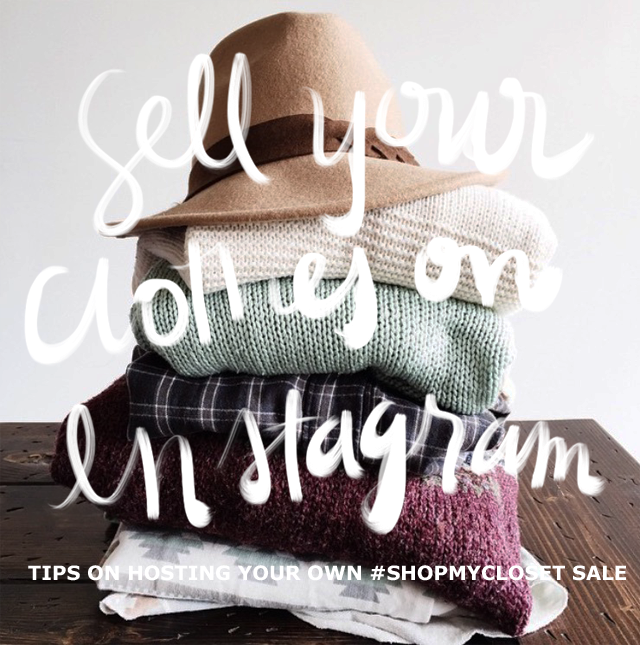 So here are some tips on how to host your own #instasale while having a purpose behind it (not just to make some extra cash). -When was the last time I wore this? -Is this something I like wearing and I feel represents my personal style? -Am I attached to this item or am I willing to give it up so I can get something better? -Is this sell-able? Is it worn out, have stains or have holes in it? There are some things I've been on the fence about selling, and usually I'll hold off if I'm hesitant. If I don't wear it in the next few days then I'll put it aside for my next sale. For items that are worn out I'll put in a donate pile. If it has a minor defect, I will still list it for sale but clearly point out what is wrong with the item. Don't forget to also clear out your jewelry, accessories and shoes. The idea is to take note of what you are getting rid of and remember those things as you are out shopping. To ask more intentional questions while shopping instead of buying off of impulse or trend. 2. Take Clear Photos. People are making a purchase off of one, maybe two, photos so they need to be well lit and clear. I take all my instagram sales photos with my iPhone because using a DSLR is just a hassle for something like this. Hang your clothes up against a light wall, or on a white door. Make sure the room is well lit, the middle of the day or early morning works great. Take the photo at an angle that best represents the clothing item. Straight on usually works great for me. You want the photo to be clear and a great presentation of what you are selling. Does the color look right? Can you see the beading detail? Take close up shots too - posting more than one photo of the same item is a a good way to give more context. Here are some iPhone photography lessons if you are having trouble. 3. Sell In Season. Buyers are more likely to buy something they are able to wear right away, not when the weather changes. If you find things you want to sell but it isn't the right season, put them aside and sell them later. 4. Start Your Account. 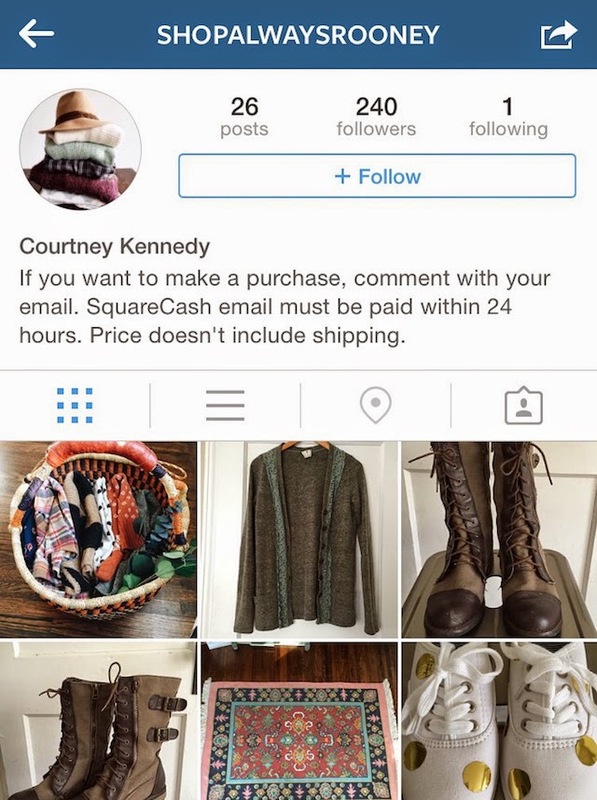 If you are doing your sale through instagram, start a new account to post your clothes to. In the description put how you are hosting your sale, shipping information, payment info and other policies. For the first photo you post, I would suggest a sneak peek of the items you are selling with a detailed post about how everything works so there is no confusion. 5. Decide how your sale will work. Do you want to host an auction-type sale, or a set price sale? Decide before hand, or experiment with both. For auction-type sales you need to decide the cut-off time, starting bid, and the bidding increments. I feel like this is a little complicated for instagram, and takes away from the simplicity of instagram sales..but I also feel like it is a great option if you have a large following. For set price sales, decide if you are going to include shipping in the price or if shipping is not included. This method makes the sale much easier and faster, in my opinion. 6. Promote. Post on your main instagram account that you will be hosting a sale and a few details about it. 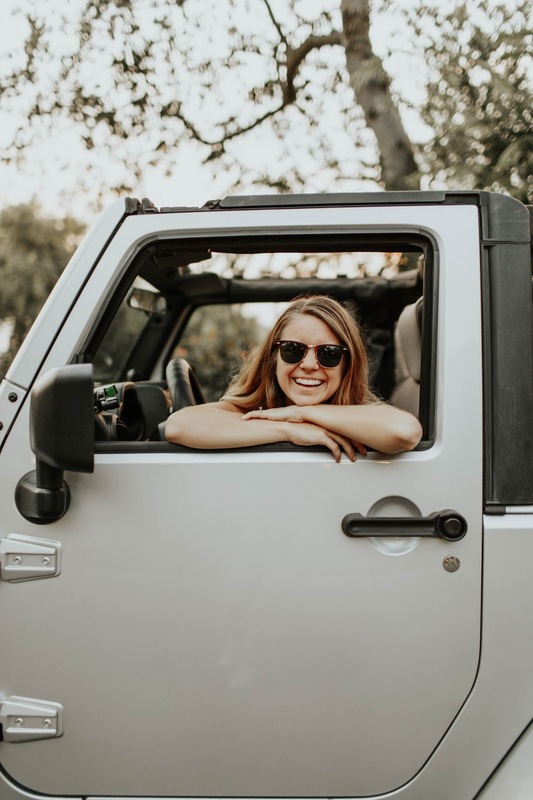 You can hashtag your photo to gain a larger audience, especially since instagram sales are becoming more and more popular, people know to check out hashtags to find new sales. You can also post on Facebook and Twitter. I even list a few items I am selling on Facebook as well, for a different audience. 7. Payment. There are many options for payment. Of course there is cash, if you sell to someone in your area or a friend. But if you choose to sell outside of your area I recommend using Square Cash. It is a free app that provides secure transactions with no fees! I use this app weekly, even outside of instagram sales. As the seller, you type in the amount and press "request" and enter the buyer's email address. There is also Paypal, but with Paypal you pay fees for each transaction. Which takes away from your profit. I started off using paypal at first until Kinsey kindly shared with me why she uses SquareCash. 8. Shipping. Shipping also has many options. You can have a set shipping price, or calculate shipping for each item. I use USPS and send all items Priority Mail so tracking is included. And since I am shipping clothes mostly, I use the package that is $5.25 to ship anywhere. The package is also included in the price, so that way you don't have to buy extra packaging. You can also print and ship from home (which is the method I use for Etsy sales). By using the USPS website, you can enter all your information online, pay, package it at home and have them pick it up for you on your doorstep. This is a great option if you have your own packaging and it makes the instagram sale even more simple. To gather shipping information, I usually start a new conversation with the buyer in a private message on instagram to get their address. 9. Donate. There will most likely be a few items you won't sell, and that's ok! You've already cleared it out of your closet which means "I don't need this" so don't put it back in your closet, silly! Donate it. Especially this time of year, there are so many people that need clothes and jackets to stay warm so take them to your local homeless shelter or Goodwill. Sure, making a few bucks is nice but donating your clothes is even better. So have you ever sold anything on instagram or plan to soon? Leave some of your own tips and a link to your own sale!